Some classic TV shows are coming to Comedy Central. Deadline reports the network has acquired the rights to King of the Hill and The Cleveland Show. 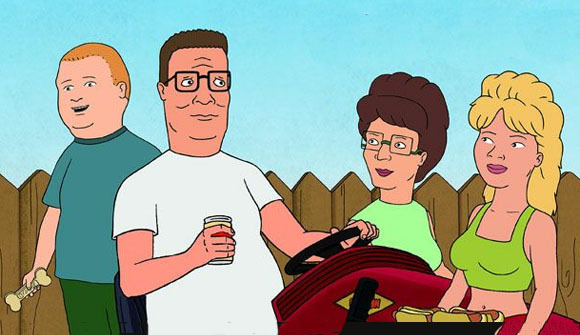 From Mike Judge, King of the Hill centers on the the middle-class family the Hills, which includes father Hank, mother Peggy, son Bobby, and their niece Luanne. The voice cast included Judge, Pamela Adlon, Kathy Najimy, Johnny Hardwic, Stephen Root, Brittany Murphy, Toby Huss, and David Herman. The show ran for 13 seasons on FOX before ending in 2009. A spin-off of Family Guy, The Cleveland Show follows Cleveland Brown and his family as they move from Rhode Island to Virginia. The show ran on FOX from 2009 to 2013. Now, fans will be able to see both series on Comedy Central. King of the Hill premieres on July 23rd and The Cleveland Show launches this fall. What do you think? Are you a fan of King of the Hill and/or The Cleveland Show? Will you watch either on Comedy Central? More about: Comedy Central TV shows: canceled or renewed?, King of the Hill, King of the Hill: canceled or renewed?, The Cleveland Show, The Cleveland Show: canceled or renewed? The Cleveland Show: Cancelled? No Season Five? That’s awesome that makes me happy.